Welcome to our newest shopping series, where each month we’ll highlight vintage pieces from one heritage brand. Consider this your personal online vintage curator. I frequently peruse the best resale sites to find the coolest vintage shoes, bags, and more, so I decided to turn my shopping habit into a series and share my findings. If you prefer to avoid paying full price for designer items or practice sustainability through purchasing preowned pieces, then this franchise is for you. This round, I'm highlighting the best Gucci and Manolo Blahnik shoes you can buy for under $200. As I mentioned above, I spend a solid amount of time browsing sites like TheRealReal and have already shopped Prada, Louis Vuitton, and Chanel under $200 for you. Today I’m adding to the list and sharing the top Gucci and Manolo Blahnik shoes from TRR. The covetable designer shoes all ring in under $200 and make for affordable ways to update your footwear collection. 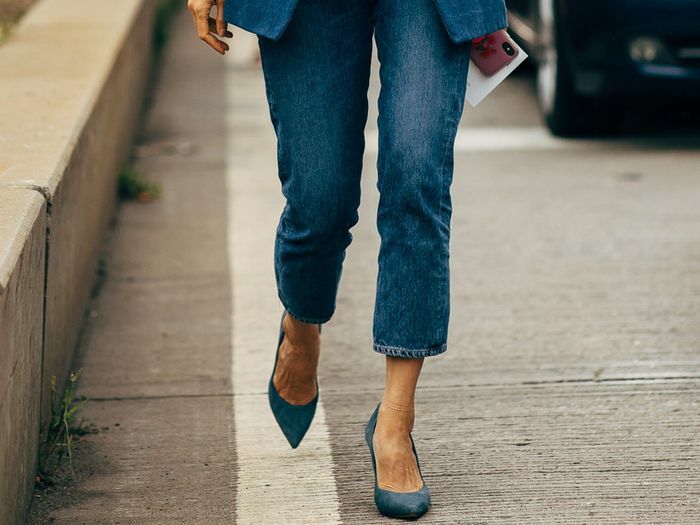 From the season’s biggest shoe trend to timeless black heels you can wear on repeat, these are the designer pieces I’d add to my shopping cart. Below you’ll find stylish 20 options from two of the most desirable fashion brands for less than half the original price. Shop the best Gucci and Manolo Blahnik shoes below. A pair of slingbacks you'll wear for years to come. These are very on trend for spring with the floss-like straps. Wear these with your favorite cropped jeans. Embrace the "naked" shoe trend with these heels. A Carrie Bradshaw moment for under $150. You can't go wrong with simple satin slingbacks. These are perfect for your next vacation. A pretty pastel for the upcoming season. Style these with your next denim-on-denim outfit. These would make for a great pair of office heels. Add a little metallic to your wardrobe. A subtle way to embrace the animal-print trend. Right in time for the holiday season. For the girl looking for strappy logo heels. You'll get so much wear out of these come spring. Perfect for just about any season. A subtle way to wear logos. Up next, shop 13 fashion items we're buying on Amazon for 2019.